PeeEssWoo: It would be a waste of a purrrrfekhtly good treat. You have all of the answers! We can't wait to see you win the election! 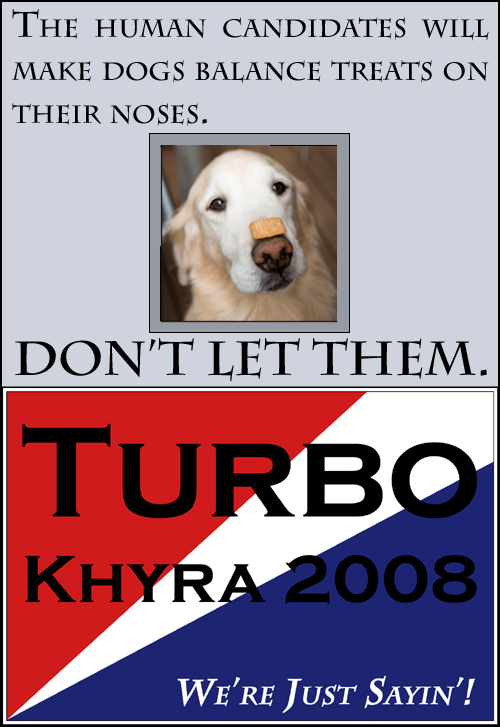 Yet another reason to Vote Turbo/Khyra! Disgusting. Treats are made to be eaten - not balanced. Disgusting. That puppy looks so SAD! Woo Woo! Balance a treat on da nose? Maw could never gits close enough cause I swipes the treat right out of her hand.